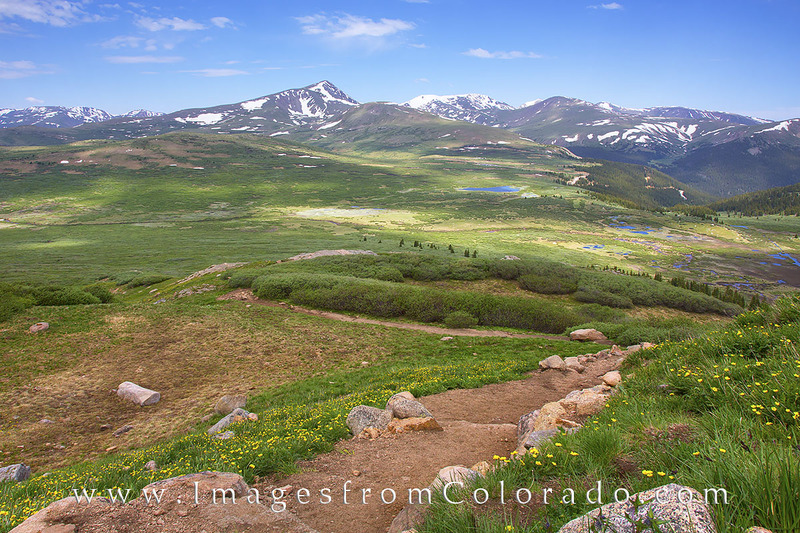 As my friend and I made our way down from the summit of Mount Bierstadt (14,064'), I stopped to capture the amazing view of the valley below. In the distance,Torreys Peak (14,267) and Grays Peak (14,270) can be seen rising into the late morning sky. Photo © copyright by Rob Greebon.